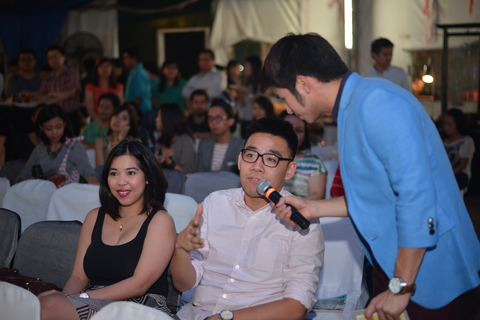 Entrepreneur magazine mounted its ’Networking Night: Big Business Ideas for 2014’ on December 13, 2013. Here are the interesting highlights of the event. 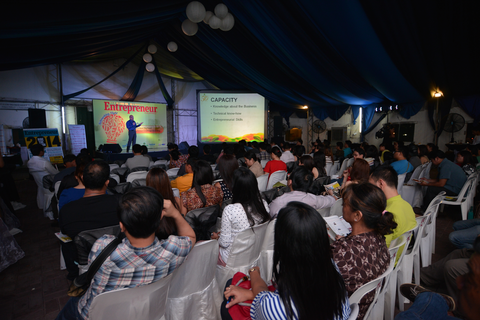 The guests were provided with a number of useful and logical tips coming straight from successful local entrepreneurs. They were given with a handful of dynamic business ideas for this year. Moreover, some speakers shared their inspiring stories and related how they were able to manage their ventures during the very challenging startup stages of their businesses. On the lineup of speakers were Jill Gerodias-Borja of Manang’s Chicken and Butz Bartolome from the Association of Filipino Franchisers, Inc. Mr. Gary Ramirez from the SME Lending Department of Landbank of the Philippines gave a short briefing of how new or startup businesses could effectively tap Startup Capital/Financing. Robert Joven, Jr and his wife Jewel also took the stage to share the insights behind their victory in last year’s ‘Next Big Food Entrepreneur Challenge’ (an annual competition organized by Entrepreneur magazine that provides seed money to promising food business ideas/startups). Their story ushered the event into the next highlight of the night--- the awarding of Solane’s Next Big Food Entrepreneur Challenge. (The recent competition was co-sponsored by Solane LPG and Mercato Centrale Philippines). A startup named ‘Oh! Fudge’ beat 60 other contestants for the grand prize. Its owner, Randie Ryan Tan personally received the prize after the big announcement. The business is set to receive P100,000 in cash prize, a full feature in Entrepreneur Philippines and Yummy magazine, a certificate of recognition, and a free six-month rental contract in either Mercato or Soderno. Other winners were also announced: ‘Chicken Poppers’ by Mark and Michelle Leviste bagged the Best in Business Plan award; ‘Big Jack’s’ by Gianne Lam, Abby Go, and Jan Siy was cited for Product Innovation; and Pub Burrito by Carissa Patricia E. del Rosario took home the Solane’s Choice award.